We have a very exciting opportunity for a General Practitioner for a practice in the North of the Metropolitan city of Auckland on the North Island of New Zealand. Auckland has been ranked 3rd in the world in the 2014 & 2018 Mercer "Quality of living Survey"
Some positive aspects of Auckland life is the mild climate. 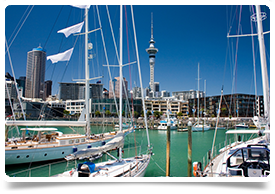 Auckland has a subtropical climate which sees on average 2,003 hours of sunshine per annum, plentiful employment and education opportunities as well as the numerous leisure facilities. Private vehicles are the main form of transport within Auckland. There are various small regional airports but also the large International Airport that caters for all the long distance International flights.